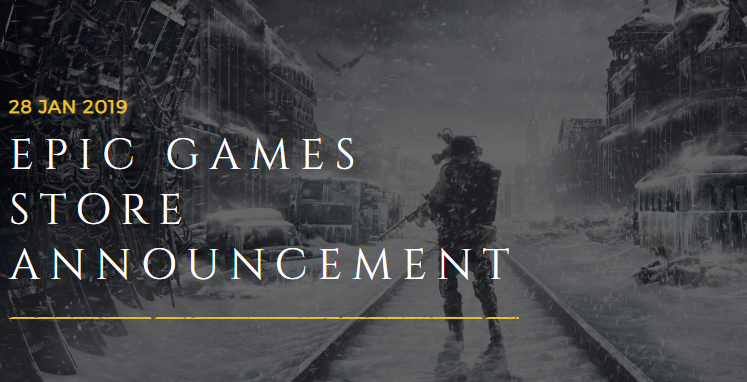 Ubisoft confirmed that The Division 2 would not be sold on Steam earlier this year and now Deep Silver has confirmed that Metro Exodus will also not be part of Steam's store. However, Deep Silver will honor those who pre-ordered the game. Deep Silver will retail the game for $49.99 instead of $59.99 on Epic Games Store to pass on the savings to the customer. Deep Silver has also stated that Metro 2033 Redux and Metro Last Light Redux will also be available on the Epic Games Store later this year. Not everyone is happy with the decision with the Steam page stating the following regarding the move to Epic’s platform on the Metro Exodus. Despite having a near-monopoly on digital PC games Steam is facing more competition against Epic Games Store since Indie developers and now more AAA publishers are moving away from the platform. Mostly due to the larger cut in sales and the lack of asset flip games as oppose to Steam where it's such a problem that they dramatically impact the notoriety and sales of smaller companies. Metro Exodus is scheduled to launch next month on February 15 and will be coming to PC, Xbox One, and PS4.